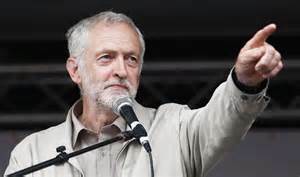 There is now a concerted attempt to oust Jeremy Corbyn from the leadership of the Labour Party. In terms of the PCS it would be a huge set back if he was removed. Jeremy and of course John McDonnell, have both pledged to work closely with the union and to develop joint policies for the civil service and associated areas.They want a return to national pay, an end to the current annual reporting system and will stop out sourcing. They will strengthen union rights. If they are not in the leadership then none of this happens. Many members of the IL are Labour Party members and will fight as such within the party. The IL itself at our AGM voted for the union to affiliate to Momentum and to the Labour Party. The reason why the AGM did so is because we recognised the sheer importance of the election of Jeremy. In that vein, the IL believes that the union should openly support Jeremy and John and should call on PCS members who are in the LP to support them as well. It is no good inviting Jeremy and John to our national conference, praise them there, say what good friends of the union they are and then do nothing to keep them in place. Talk is cheap, now is the time to really help.